FanDuel is the leading name in daily fantasy sports action and there’s no greater volume of games than in daily fantasy baseball. If you want to play daily fantasy sports on a nightly basis, you should master FanDuel MLB strategy, as you’ll have months and months of full game slates to profit. Editor’s Note: Don’t yet have a FanDuel account? Click here to create one and receive a 100% deposit bonus. Not only will your first deposit be doubled, but you’ll also receive free access to RotoGrinders Incentives, our premium FanDuel strategy content, which will build upon the guide below. Create your FanDuel account now! 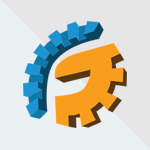 This article is meant for new players to FanDuel. 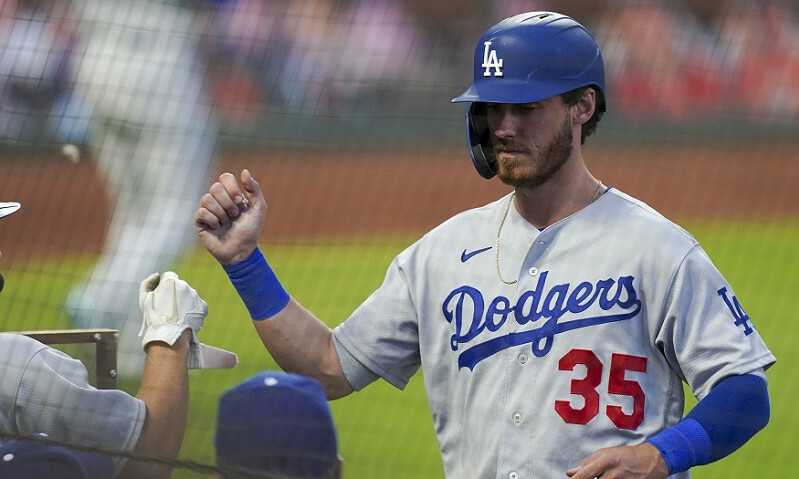 If you’re just looking for general info on FanDuel as a daily fantasy gaming site, our FanDuel review might be helpful before diving into this MLB strategy guide. 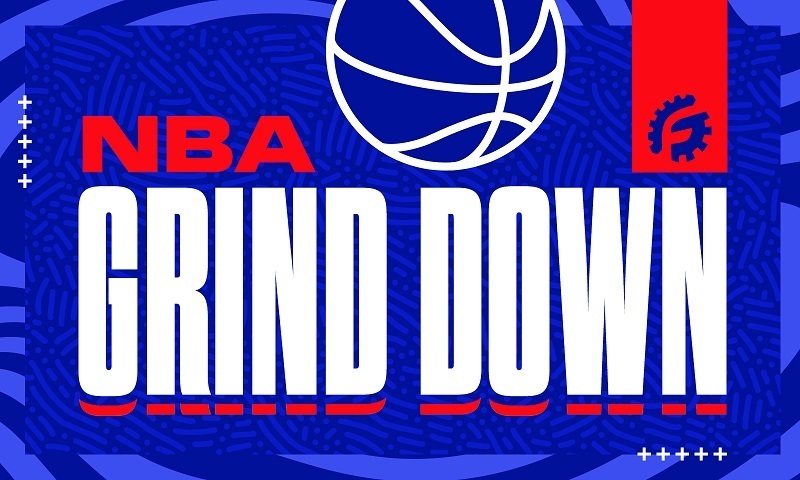 If you do have daily fantasy experience, be sure to check out our more intermediate and advanced material at GrindersU. The sport-specific sections are split into Undergrad, Masters, and PhD sub-categories. There, we walk you through topics such as building a research foundation, using the Vegas lines to help you pick players, understanding game variance, and the best approach for winning tournaments. Just sort through the drop-down menus on the left side of GrindersU to take advantage of all of the free, in-depth content. 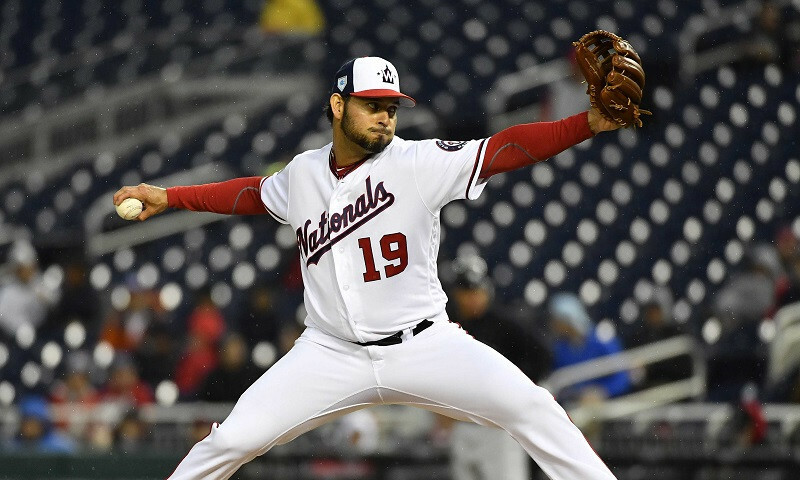 Now, back to our beginner’s guide on winning at FanDuel MLB. Because there is so much turnover in daily fantasy baseball, you should really concentrate on building your bankroll in a consistent manner with head-to-head and 50/50 leagues. Those league types are the safest and best for sustainable growth. You won’t find a greater quantity of head-to-head action than at FanDuel. 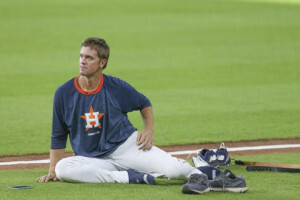 To become profitable on the site, you need to work on specific FanDuel baseball strategy, understanding FanDuel’s starting requirements, scoring system, and pricing can be exploited. At FanDuel, you need to start one pitcher, one infielder at each position, and three outfielders. That’s a total of eight hitters and one pitcher, which is pretty standard. FanDuel requires that you start players from a minimum of three teams, meaning you can’t load your lineup with hitters from a single MLB team. Here’s FanDuel’s MLB scoring system. As with any sport’s scoring system, the points themselves don’t mean much. Rather, it’s how the points compare to one another. The more valuable a specific stat (such as a home run) in relation to the others, the more you should care about it in your projections. 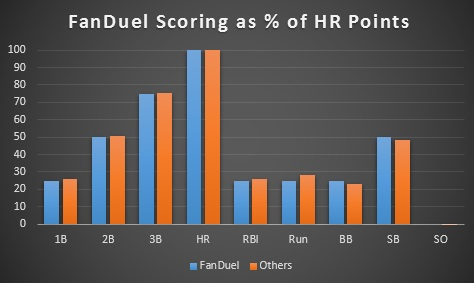 If home runs were worth 100 points and singles were worth 90, the true value of home runs would be much less than what it is in FanDuel’s actual scoring system, which awards just four points per homer. To give you an idea of which stats are most important on FanDuel, I compared the scoring to other daily fantasy sites. I broke down each stat as it relates to home run points. A single is 25 percent of a home run, for example. If a single were worth two points, it would be very valuable relative to a home run (when you consider the frequency of singles), so we’d want to place more emphasis on it. Compared to the other major daily fantasy sites, FanDuel’s MLB hitter scoring is very standard. They award slightly more points for singles, doubles, walks, and steals, and slightly fewer points for triples, RBIs, and runs, but the differences are almost negligible. Also note that there’s not much downside to taking hitters who strike out a lot on FanDuel, as you won’t lose any points. We’re going to have more advanced statistical breakdowns in the MLB section of GrindersU this year, but there’s some good evidence that, unless a site gives way too many points for singles and steals, you should generally pay for power in your hitters. Now let’s take a look at FanDuel’s pitcher scoring and how that compares to other sites. The defining characteristic of FanDuel’s pitcher scoring is that it’s minimalistic; you get points only for wins, strikeouts, and innings pitched, and you lose points only for earned runs. Many other sites take away points for losses, walks, and hits, while awarding points for a complete game. With this scoring system, you should treat pitchers differently on FanDuel than you might elsewhere. Whereas you should really be concerned with hits allowed on other sites, your primary goal on FanDuel should be to acquire a pitcher who will have a lot of strikeouts and get a win. Even though you don’t lose points for a loss, the points for a win make up a high percentage of the overall total you can be expected to score. That means it’s important to look at the opposing pitcher. If Pitcher A is facing a team on which Pitcher B is struggling, it could mean Pitcher A’s offense is likely to score a lot of runs, and thus help him get a victory. 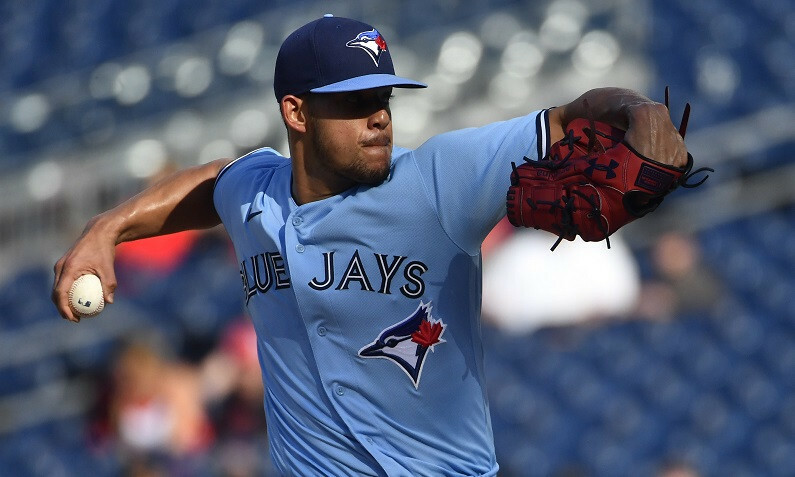 It’s often smart to pick a second-tier strikeout pitcher with a favorable matchup on FanDuel, whereas you almost always want an elite pitcher on some other sites. Overall, the value of pitchers on FanDuel isn’t near that on most other sites. Starting just one player at the position, there’s a lack of deviation in pitcher points. Because they don’t have as many ways to both gain and lose points, there’s a narrower distribution of production, which makes the elite pitchers less valuable than they could be. Even though FanDuel’s scoring isn’t drastically different from other sites, there are still subtle changes that should affect the way you play. Because there are so many games, you should eventually see an edge if you’re emphasizing the right stats from night to night. Another thing to keep in mind is that you should “pay” for different stats and traits in different league types. The variance surrounding each stat is a more complicated topic that we’ll tackle in GrindersU, but the idea is that you should pay for consistent stats, like pitcher strikeouts, when you want to increase your team’s floor, i.e. make it as safe as possible. One of the popular strategies in daily fantasy baseball is “stacking,” or loading up on players who play on the same MLB team. Stacking has a lot of benefits in baseball because the production of one player is so strongly linked to that of his teammates; to score a run, for example, hitters typically need those behind them to do well at the plate. When you stack in MLB, you can increase the upside of your lineup. A three-run homer can be worth quite a lot of points if you have both runners and the batter in your lineup, for example. Remember, though, that FanDuel limits your ability to stack (a little bit) by requiring players from three different teams. That means you can’t use full-team stacks. Nonetheless, you should be looking to stack as much as you can in FanDuel tournaments. There’s so much upside involved with using players on the same team that it’s difficult to win large leagues if you completely diversify your team selection. There are some conflicting thoughts on if or how much you should stack players in head-to-head MLB leagues. This is a more complicated subject that we’ll explore in greater depth in GrindersU. Either way, your goal in head-to-head leagues on any site should be to increase your lineup’s floor as much as possible by picking safe players and low-risk player combinations. 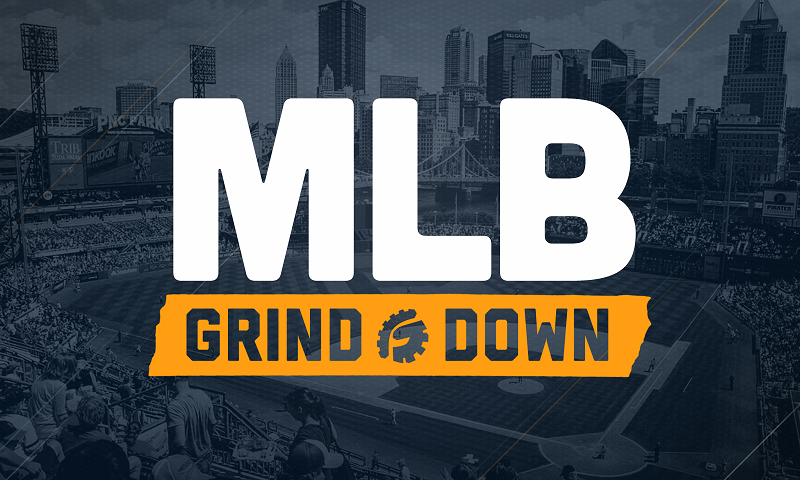 As always, make sure you get our FanDuel MLB Incentives for free by signing up for the site through any of our links, and check out all of the content at GrindersU.